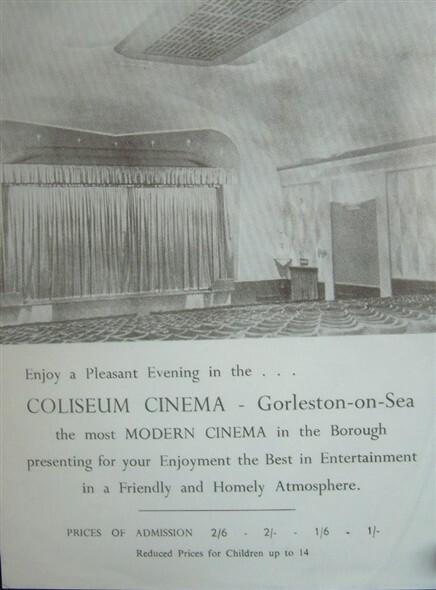 The Coliseum Cinema in Gorleston was built in 1914 and was purchased as a family business in 1931 by Douglas Attree. 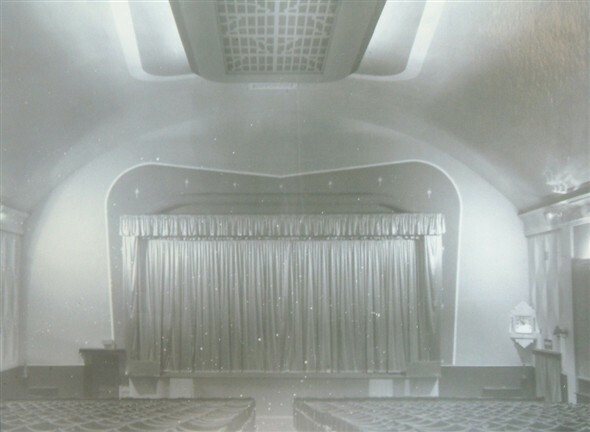 It was soon modernised and decorated in a contemporary 'art deco' style. This coincided with the arrival of 'talkies' which were at first very difficult to hear. Technology quickly improved and cinema going became more popular than ever. During the Second World War the Coliseum played a significant role. On the outbreak of war public entertainments immediately closed, but they quickly re-opened as their value was appreciated. After 1940 many foreign servicemen were to be seen in the cinema, mostly Poles and Czechs. 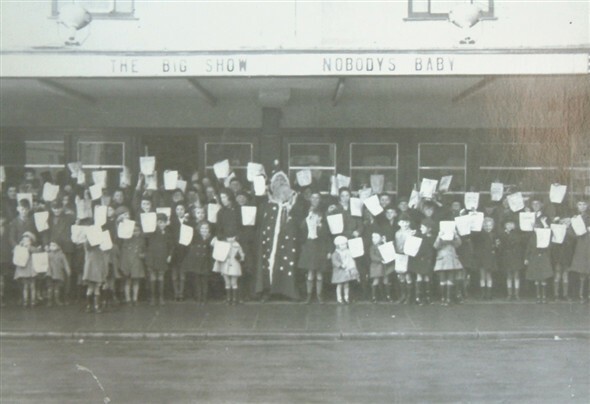 During the 1950s there were matinees on Mondays, Thursdays and Saturdays starting at 2.30pm. On other days performances began at 6pm. there were usually two films, the main and the B feature as well as adverts and newsreels. Sometimes there was also a cartoon. Children's matinees had always existed on Saturday mornings. The Christmas children's matinee was particularly popular. The manager dressed up as Father Christmas and all the children were given a gift of nuts and sweets. This was discontinued in the late 1950s. At Easter there were 'Egg Matinees'. This meant that the entrance fee was an egg!- and all the takings were given to the hospital, who would have had scrambled eggs for days! The show was continuous until the 1970 when the cinema was sadly demolished to make way for a shopping precinct, which still bears its name. This page was added by Joe Carr on 02/04/2007. Being Stationed at RAF Hopton we frequented the Floral Hall and The Colliseum and I seem to remember if you went to the said Cinema in the Afternoon or before a certain time in the early evening it was considerably cheaper .Correct me if I am wrong but what I do remember when we came off duty we used to rush to catch the bus from The Hopton White Hart to Gorleston and it was a more Pleasant and friendly place than those in Great Yarmouth and Lowestoft and although it was very busy the staff were more friendly than the others. Last Sept I had a long weekend in Yarmouth and went along the prom till I came to the old Empire cinema. Sorry to see it passed thru many stages of different things i.e. bingo hall but like many things now closed and going to rack & ruin. The same can be said for the old Art Centre on Nelson Road. If Yarmouth is to survive as a top of the range seaside attraction it should look to its past glorys. A scruffy town is not a good advert to attract vistors. A cinema is a great help to families with small children on a rainy day. With money being sparse slot machine halls are a no no. I was a keen visitor to Saturday cinema and remember it well. I was possibly in the photo.shown.as I was ten at the time and never missed a show.watching Flash Gordon or black arrow.serials every week.